This week we are talking with an independent watch strap maker from Denmark. 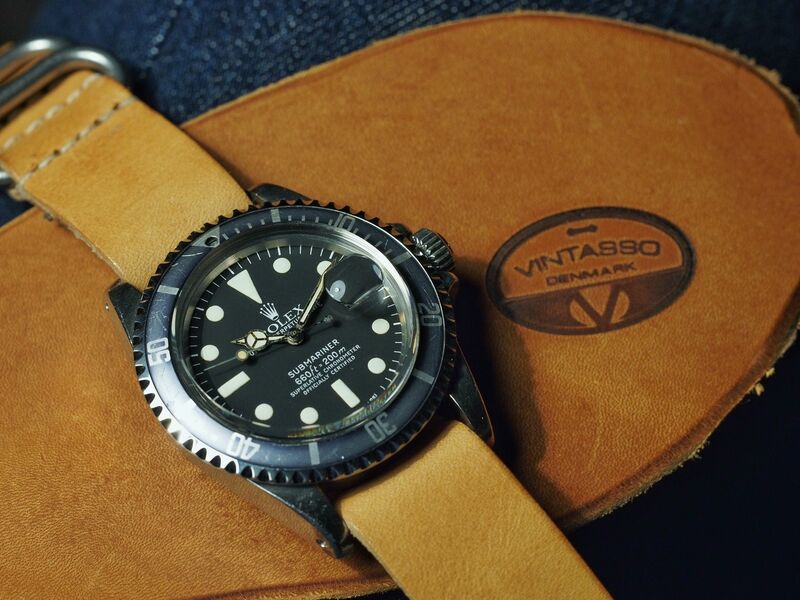 I met his brand ''Vintasso'' 2 years ago while I was searching for a leather strap to compliment my ROLEX Ref. 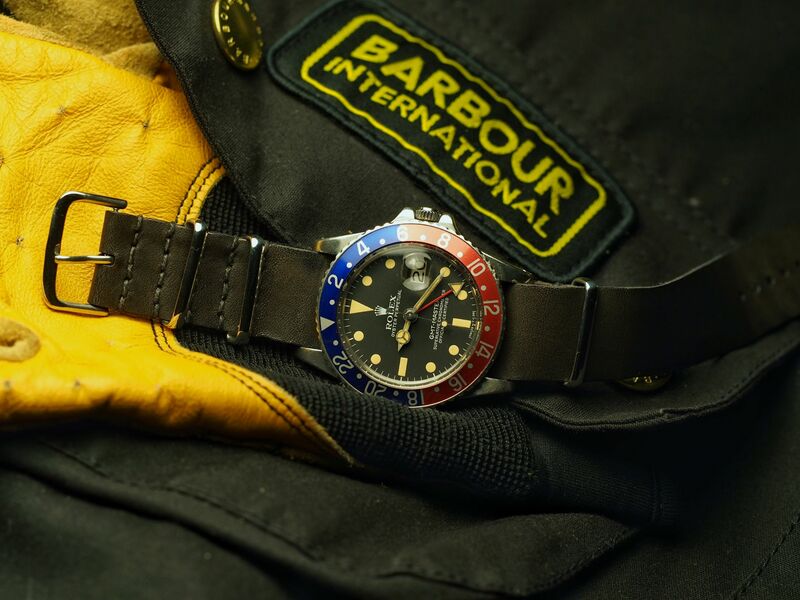 1675 GMT Master. The color it was featuring compared to now when I first got it - the change impressed me a lot. I want to say it is alive; so I decided to ask him about his craft and talk in detail. - Hi Kenneth, Can you tell a little bit about yourself? Hi, my name is Kenneth Rueskov Møller. I am a 34 years old. I grew up on a small island in Denmark and have always been fascinated making things of my own. Now I live in Copenhagen. A unique handmade piece is not only a utility item for me but, it is a part of telling people who you are. I am educated as a mechanical designer and therefore I have insight in knowing production and usability of a product. I love a simple and natural look. Leather for me should be honest. If the cow leather is colored using chemicals it ends up looking like an embossed croc and my passion gets lost. For me the natural appearance and the simplicity have disappeared. The honesty has gone. And I see myself as an honest person. - How did you get into making watch-straps? I have always had a fascination of vintage watches. In my teenage years, I went to the flea markets looking in every bowl inside every drawer hoping to find a full mechanical watch. I was amazed what I could find for a few bucks back then and I can still find nowadays. I couldn't wait to get home to polish the crystal of my new purchase and give the watch a fresh look and a new life. After some years, the work I perform with watches grown more. Many of the watches I bought or found needed new watch straps. Therefore, I tried to make one myself. First attempt was not satisfactory but I learned. Now I prefer my watch straps instead of the mass produced ones. 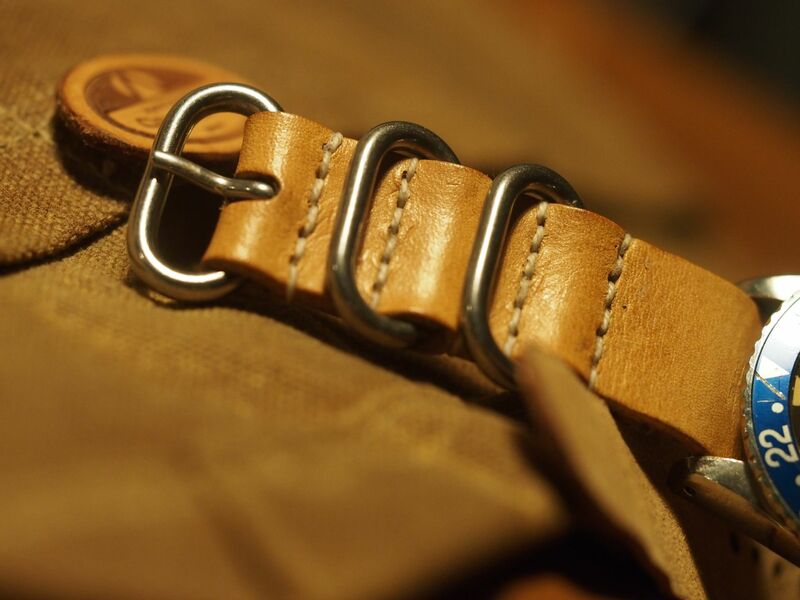 - Can you describe the whole process how leather becomes a watch-strap and in which stage do you get the leather? I buy my leather from a company at Denmark. I know that they only pick the best. The leather I use is aniline leather, as natural as it gets. 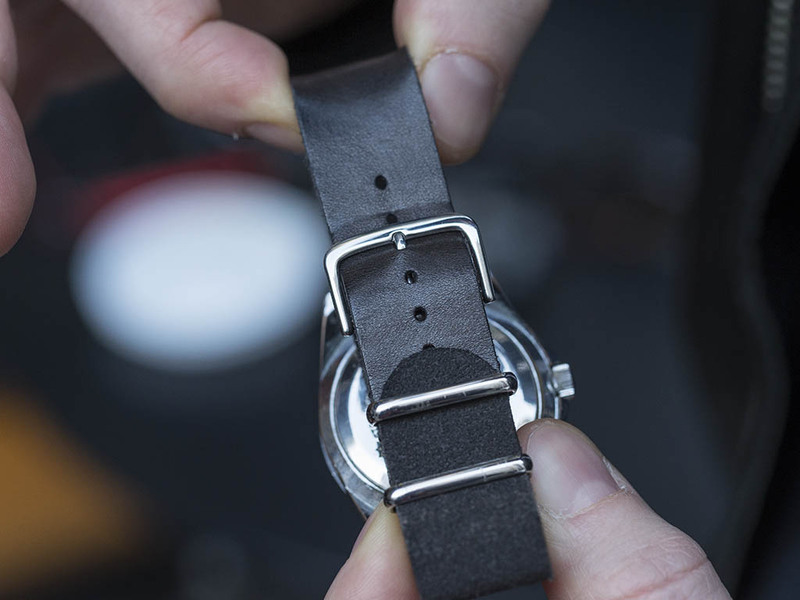 The grains and imperfections of the leather is a part of making the watch strap unique. The procedure making Vintasso straps is quite a few steps and it takes time to make it look right. The leather is cut into the correct width. Then the sewing holes, the buckle hole and the end of the strap are punched. The sewing is performed with waxed flax thread, which can last for many years compared to machine sewed threads. The hardware buckle and rings of stainless steel are carefully sewn in one by one. The back of the strap is embossed using heat with the ''Vintasso Denmark'' logo. The leather is skived in hand to give it a sleek look. To give the final finish of the strap, the edges are rounded and natural leather cream is applied to accentuate the leather grains. When my watchstraps are worn a few months, their leather turn from a light cognac color into a deep dark red color, which also makes each strap unique. I used to say that leather is like red wine. A good red wine becomes better and better with age – the same with leather in my perspective. 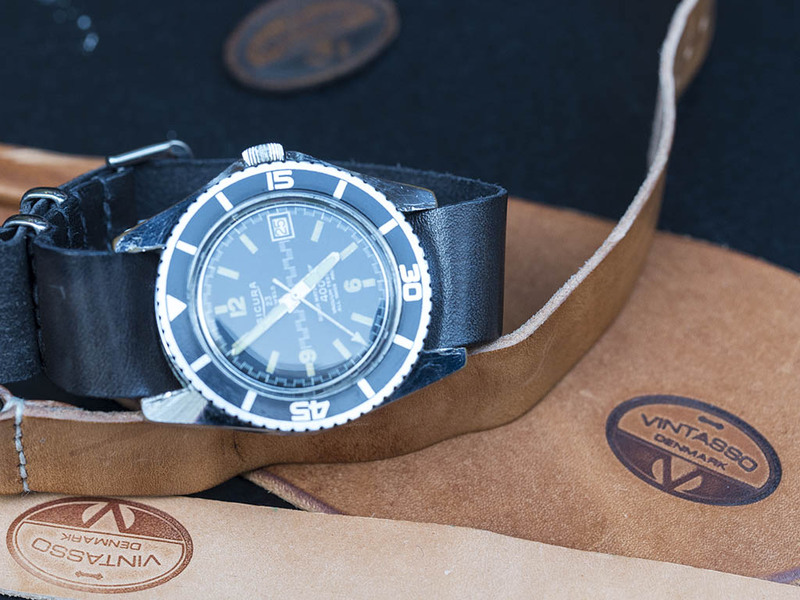 Therefore the Vintasso straps goes nice with vintage watches. - Do you only manufacture watch straps? Which watches are they suitable for? I am making Zulu and Nato watch straps. 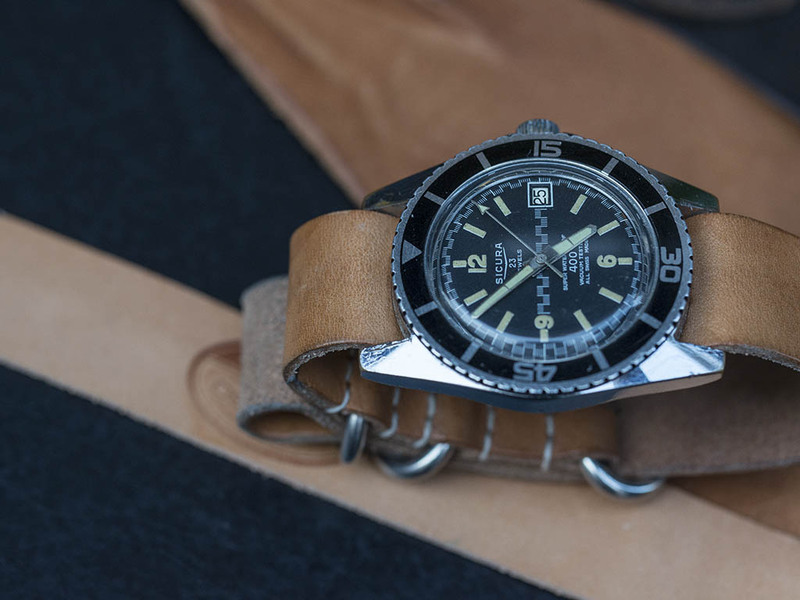 I think these straps can give a classic watch a rougher look. The Nato strap can be used for any watch basically. The leather is thin and can go with smaller standard 18mm Swiss watches. 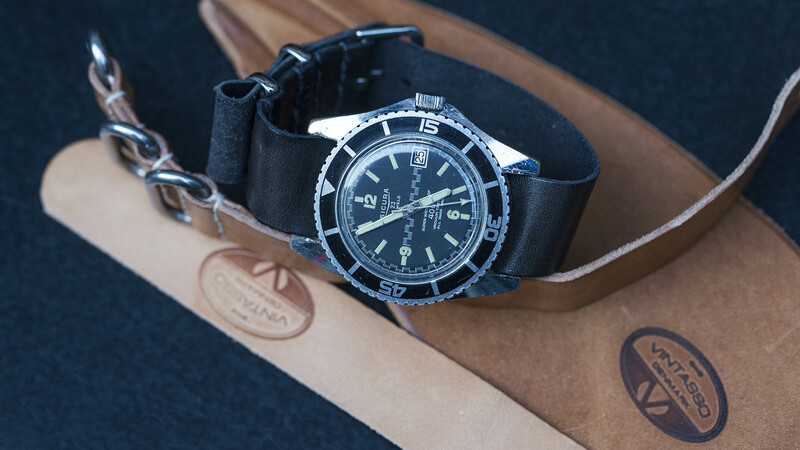 The Zulu strap suits heavier watches better like Panerai, diver watches like Rolex Submariner and similar kinds. The Zulu is a little thicker than the Nato strap. 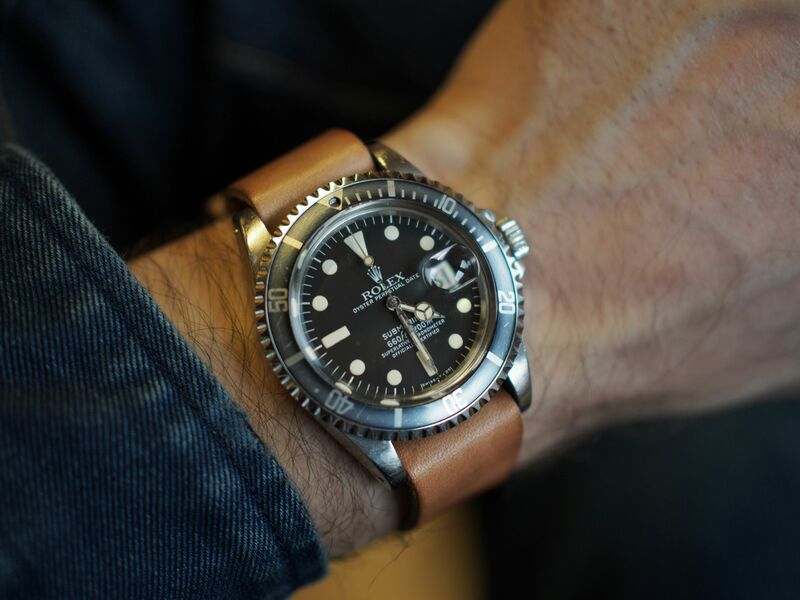 A Nato strap can make a small watch look much bigger on the wrist which I tested on some of my older exclusive watches those were made smaller than today's standards. For example, I tried a Nato strap for my Rolex Oyster Elegant Precision that I used to find too small for my wrist, but with the Nato strap the look changed. I must say it is more masculine. I do many things with leather and planning to expand my website with more products. One other thing that I am planning to offer soon is a watch cloth from pig skin. It is really nice. - Are you collecting any watches? Do you have any special models that you are keeping or any you want to add to your collection? Any watch enthusiast fears this question. Not because it is hard to find a special watch, but to pick only one or two is hard. You love all your children, right? Nevertheless, I have some preferences of course. I could write about Rolex Subs, Omegas and Panerais. However, I would like to dig a little deeper. One watch which I really appreciate is the Eterna Matic Super Kontiki. This watch is underestimated imho. It has everything a killer watch needs. The history of the Thor Heyerdahls Kontiki expedition, with the great Kontiki logo on the back. Featuring a nice automatic movement. The history of it is going back to mid 50's. The design and feel of the watch is extraordinary. The dial and hands are just awesome and can be found in many color combinations. Take a look at the second hand; it is very esthetic and the crystal contains a small Eterna logo. I could just keep on talking about it because I love it. Many thanks for taking the time to answer our questions and sharing your passion with us Kenneth. I will be tuned into your website and following your work. Wishing you the best with your brand & craft.